The EMG 45JX-CS is our JCSX pickup in our extended range housing. This pickup utilize ceramic magnets with steel pole pieces and our X Series preamp. This preamp adds dynamic range that is closer to the feel and response of a passive pickup, with the frequency range and quiet operation of an active. 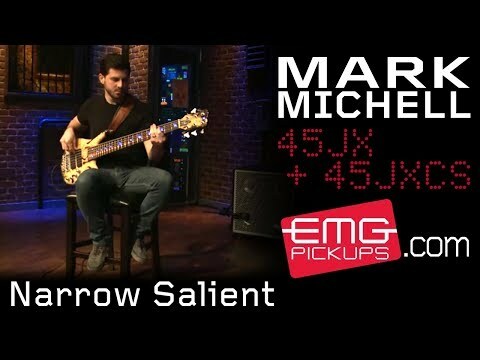 This twist on jazz bass tone, gives players a much warmer sound and a smoother attack with less high end presence. The 45JX-CS is less bright than most traditional sounding J pickups and is a great choice for someone looking for a deep, rich sound. 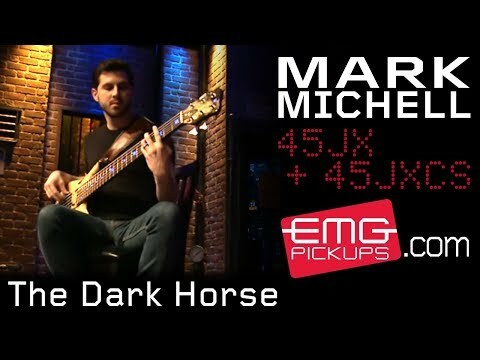 This pickup offer warm jazz bass tones with the benefits of EMG's quiet, low impedance preamp. Intended for 6 string basses that have a maximum string spacing of 3.75 inches, this model is housed within a 45 extended series cover cap that is 4.5 inches (115mm).